Citizenship and Immigration Canada (CIC) helps immigrants settle in Canada. To do this, they fund organizations across the country to provide newcomers with services such as language training and career counselling. 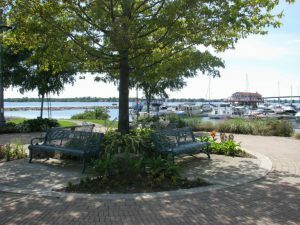 In the Bay of Quinte region, that organization is Quinte Immigration (QUIS). We have created this website to help you find out the information that you need to help you decide to live in the Bay of Quinte region. The Government of Canada has created several online resources to help you understand the legal process and applications required to immigrate to Canada. Collect and bring to Canada all official documents belonging to you and the family members who are immigrating with you. Some of these documents may not be required immediately, but it is better to bring all your official documents with you in case they are needed or useful in the future. Make an effort to improve your English if it is not your first language. Communication skills may be the most important tool you can possess to settle successfully in Canada and find a good job. Prepare yourself to find employment. Learn about the education system. Learn more about the province and the city or town where you will settle. Purchase some warm clothes to keep you comfortable during the first few days if you are arriving in Canada during the fall, winter or spring. Learn about Canadian laws and your rights and civic responsibilities when you become a resident of Canada.